I've been hanging onto this for a couple of months hoping that the right context would come up to give me a reason to post it. And the news that Patrick Swayze is battling pancreatic cancer was not exactly the sort of lighthearted thing I was hoping for, but it'll have to do. 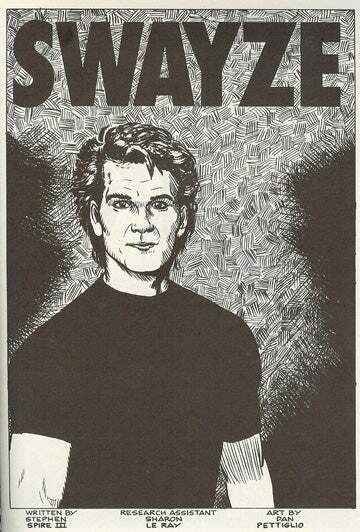 Let us all celebrate the man who gave us the genius trilogy that is Dirty Dancing, Ghost, and Road House via the 1991 unauthorized biography published by Personality Comics, posted after the "read more" link.